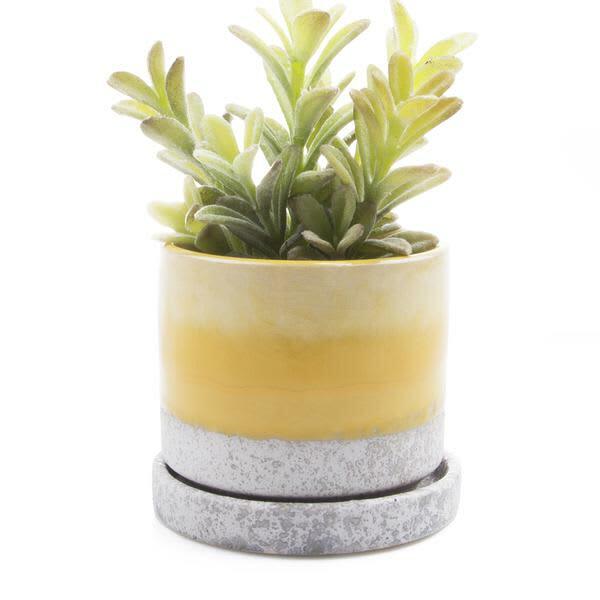 A mini ceramic plant pot and saucer, with a great colour, which is ideal for small houseplants. The pot has a drainage hole allowing the water to drain into the dish ideal for cacti and succulents. From Home & Garden.